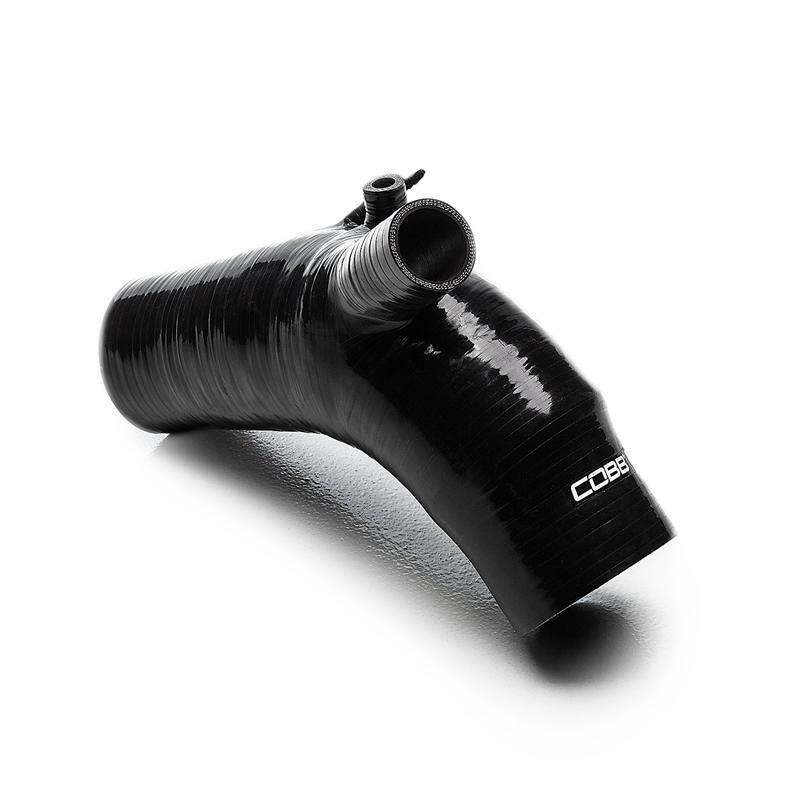 The COBB Tuning high flow Turbo Inlet Hose utilizes a custom steel reinforced silicone design that eliminates the issue of hose collapse that other inlet pipes suffer while under suction at peak air flow. The true taper design of the COBB Inlet Hose increases the air flow volume that is delivered directly to your turbocharger, providing much more efficient power and response. The smooth inner walls of the COBB Turbo Inlet reduce the air turbulence that occurs in the factory accordion style inlet.